A court determination of child custody may become necessary in divorces, separations, or situations involving unfit parents. Child custody hearings also take place when one or both of the parents are deceased or in prison. 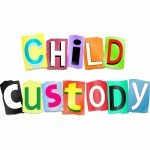 Courts usually decide upon the custody arrangements after studying information about the family, including whether the child has a closer relationship to one of the parents. Child custody lawyer can help you resolve a custody conflict in a fair and legal manner. The outcome of custody rulings for the child or children is determined by what is best for the child. This means that as a parent, wanting custody of your child is not all that matters. How well you perform your job as a parent is the most important factor. There are several different types of child custody arrangements. Depending on your situation, one or more may be appropriate for your family. The type of custody arrangement you make will depend largely on your relationship with the child’s other parent. Often the final arrangement will be based on a compromise between the two parents. A family law attorney can further explain these arrangements to you, and how they would work in your particular situation. Physical custody vs. legal custody: Physical custody determines who the child lives with. Legal custody determines who is allowed to make the decisions that affect the child. Joint custody: This is when both parents have equal rights to make decisions for the child and both parents are entitled to equal living time with the child. Both parents also have equal responsibility for the welfare of the child. Sole custody: When the child lives with only one parent, and that parent has sole decision-making authority. Temporary custody: When a court grants custody temporarily, until a parenting plan is finalized. Non-parental custody: When custody is granted to a party who is not one of the parents of the child. The custodial parent is the parent with whom the child lives. The non-custodial parent does not have custody, but is allowed to spend time with the child and/or take part in decisions that affect the child’s life. Usually a parenting plan is formalized that spells out each parent’s role and visitation rights. If both parents can agree on a custody and visitation plan without help from the court, that plan will be put into effect. While the court may not be involved in creating this type of parenting plan, it is important to file any agreement made between parents with the court to make it official and enforceable. An attorney can guide you through the necessary paperwork. If parents are unable to agree on who will have custody of their children, the court may order the parents into mediation. An impartial mediator (usually an attorney or social worker) will work with the parents to come to some form of agreement. When an agreement is reached, it will be filed with the court for enforcement. If mediation fails, the parents may go to court for a custody hearing. During the course of the hearing, evidence will be presented and expert witnesses (such as social workers or psychologists) will be called to testify on behalf of the parents and/or children. Ultimately, the court will make the decision that the parents were unable to make themselves, and the court’s decision will become legally binding. Clearly, if you are facing a child custody hearing, it is important to be represented by an experienced family law attorney. Reach out today to see how we can help!